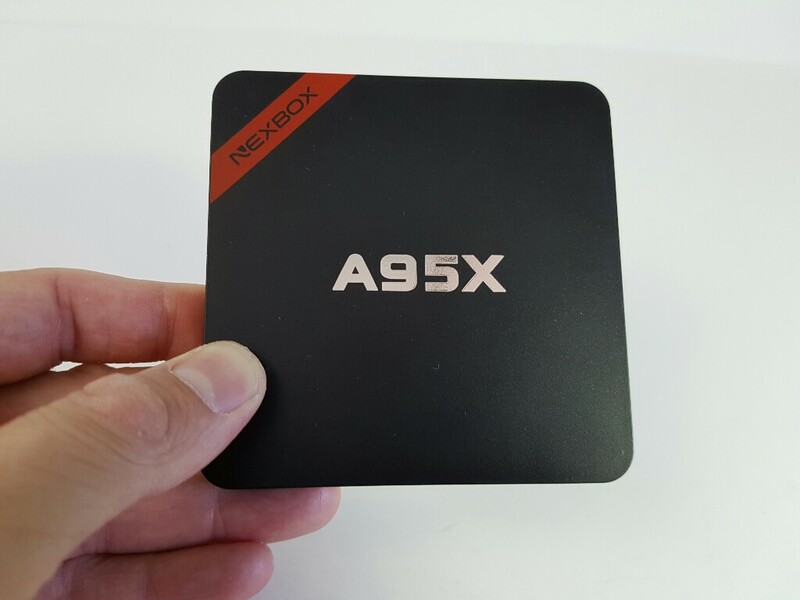 The Nexbox A95X is now yhe cheapest tv box with the Amlogic S905, 1GB Ram and 8GB Rom running Android 5.1. The tv box is very small and made out of plastic entirely. On the back we have the HDMI and the AV outputs. On the right side, 2 usb ports and the SD card slot. Like most of these tv boxes the Nexbox A95X doesn’t have a power ON-OFF button. The box comes pre-installed with Kodi 16.1 and a new app from Nexbox called Kodi Centre. From Kodi Centre you can choose whatever addons you want to install and also update the ones that you’ve installed. Surprisingly all the video formats that i tried work very well including 4K files. This is great news considering that the box is very cheap. Videos with DTS and DD sound don’t do great on this box. Gaming is also possible, however, the box doesn’t have bluetooth and you will need a gaming controller that has a usb dongle. I didn’t have any apps crashing for the time that i used the box, but some app need a bit of time to start up. Overall this little box offers great value for it’s unbelievable low price. Check out the review video for more information. Does the remote control allow for air remote functionality? How the hell are you supposed to install this thing if you’ve not used one before. There are no instructions that make sense. Very user unfriendly. I cannot find a forum or video anywhere to say how to set the thing up. It will have to go back. Please do not assume people know how to do these things. Just turn it on? Yeah. The blue light on the box is on, but no screen comes up. No way to set up my wireless. Nothing. I can turn the box on & off with the remote & that’s it. Any suggestions? Have you selected the source on the TV where the tv box is connected? If yes and you still get just a black screen, your box is most likely bricked. You will need to flash the OS on it again. It is a simple process once you find an appropriate rom for it. If you bought it from Amazon, return it. Ha! I figured it out! You geeks will laugh, but for the rest of us here’s my fix. I switched the HDMI cable around. Took the end plugged in to the tv & plugged it into the box, & visa versa. Before this I never would have guessed that would have any effect, but now I know different. Had to share. Thanks for the great review. I’ve just ordered one. I am carious about Kodi library, is it possible to move the library to an external SD/USB storage, since the internal storage of the unit is small. Thanks for watching. Install a external HDD (plug it in) or usb and play everything from there and save everything there too. Thanks for your fast reply. The problem is that, Kodi library is the folder where files downloaded by Kodi when scraping movies/tv shows are stored. This folder is located in Kodi folder inside the box. Oh, i understand what you mean now. Ive read some time ago that it’s possible somehow, but it seemed a bit too complicated and never tried it. Are you using kodi to access showbox and exodus? Hi the remote control won’t work on the box.this is weird. Any solutions? I bought 1 and I’m using it, the only problem I got is when I have to shutdown the box. I have to unplug it from the back. The keyboard can’t shut the box down. Hi. The remote control that came along with the unit is really CRAP. Anybody knows a standard remote that will work with this unit? I have connected the unit and all other functions are fine. The date/ time/ region/ etc cannot be adjusted with the provided remote. Even though English (US) is the language selected, while entering the Wireless password, other characters are being displayed other than the ones entered. Does it have miracast and dlna? Can you use a gamepad with usb to play or like a mouse? I can install Kodi addons from zip files? Hey, the stock remote for this box has vanished. Is there a way to shut down through the system with they keyboard remote? Current firmware has a setting under System to select a power button, which can map to a keyboard (and maybe a remote button?). I actually like this remote–it has all the basic unctions but is simple, easy access to home, Kodi, exit button, etc. and a directional pad that has good feel. I use a usb/wireless keyboard/mouse for typing info and browsing. I had that happening to me with a box and i thought it was the box… But in fact it was the power adapter that died… Hopefully this is the case with your box. Thanks for watching! I had the same problem, believe it or not make sure the HDMI cord is plugged all the way into the box. I thought mine was, no picture, I was bummed out and tried again, and the cord slid in the rest of the way and the picture came on. none of the shows i am trying to watch on netflix are in HD. am i doing something wrong? You aren’t doing anything wrong. Only devices certified by Netflix can stream in HD. There is no Chinese TV box that is certified by netflix. well crap. are there any certified by netflix? No TV Box is certified at this time. Well, you expect these devices to be good with coming from Amazon and expect dud’s from Ebay. Just received the Nexbox A95x Pro (S905x) 2G/8G and no HDMI out. Power’s up and that’s it. Sent email to manufacturer at INEXBOX to see if they will send me the stock firmware and try to reflash it and see if that fixes it. I shouldn’t even bother with it and just send back to Amazon. But been looking forward to cutting the cable to save the dollars. Anyone got a backup firmware for Nexbox A95x Pro (S905x) 2G/8G. Try checking the freaktab forums. I had a couple of boxes that showed up and they would turn on and nothing else… I ended up throwing them to the garbage… Didn’t even try to fix them. I would return it and get another one. Not worth the hassle mostly if bought from Amazon. Just have the hassle of shipping item back to Amazon. Should be free return shipping. Do you have any suggestion of Android TV boxes that work well from Amazon. Since the broken one cost me $51.99, that will be my refund price for a new one. Hmmm… I think that you should try the new generation of the Nexbox A95X with the S905X and Android 6.0. (check out the review of the on my YouTube channel) Im not sure how much that costs on Amazon. Me personally i use a MXIII-G and a Zidoo X6 Pro for my day to day tv boxes. 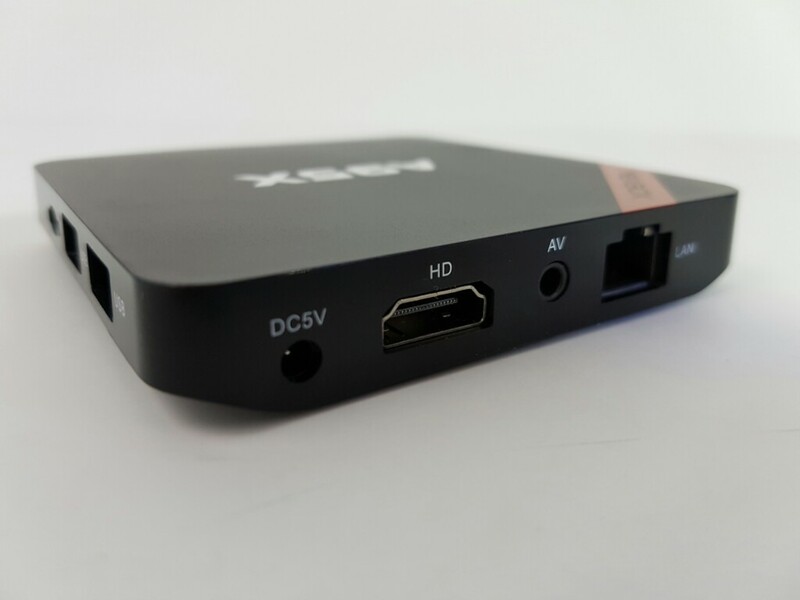 That’s what I just received the Nexbox A95x S905x 2G/8G and does not work right of new box; No HDMI output. Maybe bad HDMI cable could be possible. It’s the same one i was referring to. Bad unit most likely. Haven’t had any issues with the 3 that i got. Did your boxes come from Amazon? No, i get boxes as samples from the manufacturers. Ah, that figures. Direct from manufacturers they worked without issues, but when you buy them Third party via Amazon that’s the problem then. Similar to how you computer components, as you ensure the components work as they come from manufacturer to retailer (two “shake” process). Mine came from a storefront called “XDirect” and fulfilled by Amazon at their Kentucky fulfillment center. I am going to test with a known good HDMI cable later and will keep you posted. Mine came from Gearbest and works fine. As I guess it bad HDMI cable. The HDMI cable I am using has ferrites at the ends of cable and was pulled from my Windows 7 HTPC. So, for all that get a Nexbox A95x S905x from Amazon, don’t return because no HDMI output. Just check the HDMI cable with known good cable. I thought the Nexbox A95X was rooted but come to find out it is not rooted and having hard time getting it rooted. Have you made any attempts to root the one you reviewed. Nexbox is just the brand. All the tv boxes run Android and they have access to the google play store (similar to the apple play store). You can download any app that is available for Android from there including Netflix. Gary, Not sure what model TCL you have. But most TCL’s have Roku installed and should have came with Netflix installed. Just Google TCL (your model) Netflix, you should find your answer. For me, I have “dumb TV” and wanted to add smart tv box to them without breaking the bank. 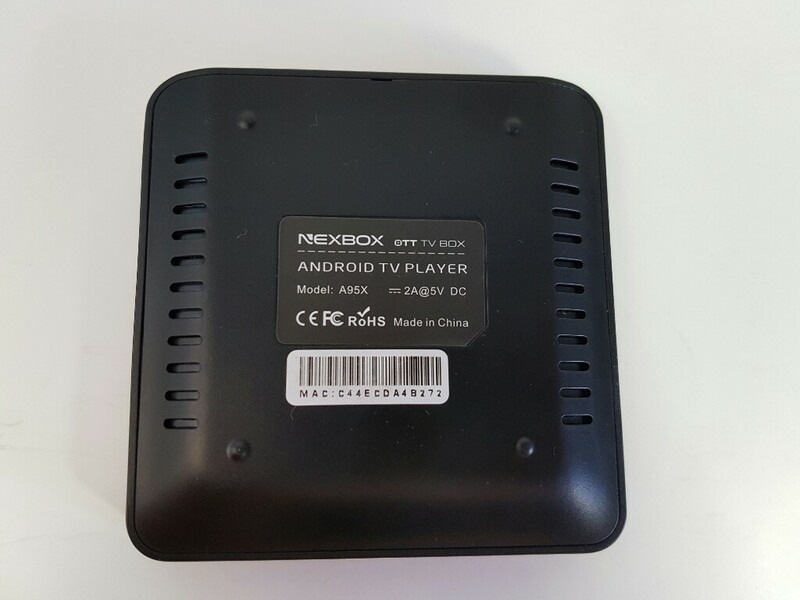 The Nexbox is just another long list Chinese Android Tv Box that has majority of apps that you have on your smartphone. Anyways, the model I is the one in RedSkulll article: Nexbox A95X S905X 2GB/8GB. Yes, it comes with Netflix pre-installed and a few other bloated apps that personally don’t care for. The nice thing is that its rooted, meaning you un-install apps for good that you don’t want/need. I got mine from Amazon just because of having Prime and two day free shipping. John, my TCL is pre 2014 and the maker tells me that the app for netflix does not come with it. I do have Roku and have looked at it but cannot see how to download Netflix. I looked up the model on TCLUSA.com and looked at manual. Not sure if there is a direct Netflix app per manual, you may need to open web browser on TV and go to Netflix.com. You also may need a software update, suggest looking on back of TV for the exact model and download the manual from TCLUSA.com website. The Android TV boxes described here may need some patience of setting up and tweaking if you desire to purchase one. Sorry John I misinformed you as to ROKU, I mixed this up with a App that is on the set and I do not think I have aROKU. Good to hear that you purchasing the Nexbox A95x. Its not a bad device, just limited docs/support and fairly new ROM. Keep in mind if purchased from Amazon like mine, the HDMI cable did not work for mine. I had plenty of HDMI cables laying around and knew it would work. So, don’t panic if use the HDMI cable that came in package and get no output. Thankyou John, my Tv is a 55″ Smart TV TCL.pre 2014. My problem is I can’t seem to get it to hook up to the internet. It has accepted my password but still no connection. Also it asks me if I want to configure my proxy and up settings. Should I do this? Did you click on the “turn on WI-FI” tab ? Would like to know what wireless controller you are using for games? I tried an Xbox 360 controller but couldn’t get it to work. I’m confused after watching this video as in the 16GB rom version you said the wifi is not very good and 4k video did not play.. Both the products Nexbox(1g/8g) and Nexbox(2g/16g) have same processing power and GPU. And you mentioned a wifi-speed on Nexbox(2g/16g) to be 1.40mb download, whereas 25mb download in Nexbox(1G/8G). I was planning to buy the 2G/16G version. But I’m confused after watching this. i have nexbox 1g/8g and it keeps losing wifi signal. my network and all other devices are sending/receiving excellent wifi signal. is my nexbox just part of the 90% that are bad? any fix available? Unfortunately, most tv boxes have very weak Wifi antennas and that’s why this happens. I recommend using a wired connection. I use a powerline adapter since i don’t have cables throughout the house. no output on hdmi does not mean it needs re-flashing, it most probally means you havent put the hdmi cable far enough into the box. i had 2 boxes i thought wasnt working, then i realised the cable needed to go further than you would expect. pull out and push in, try the opisite end of the cable too and you can get around this. make sure your tv is on too before you connect the power lead after the usb is in so it gives the box ample chance to detect a compatible output resolution. if remote does not work, connect a usb mouse and goto the settings and browse the remote section and make sure its turned on. Hi does any racing games work on this box. Couldn’t find any. Have to agree with remote, I have to be within 2 meters for it to work. I have one of those mini keyboard things that works fine but use remote to turn on and off. Any special setting for real racing 3? It is not very stable. I purchase NEXBOX_A95X and happy all week watching (1:16 85%) square SCREEN in my new 32 inch WOX TV. I cant find settings configurations with mouse or with remote, how to change screen format. Maby TV has 4:3. 85 % zoom out give me not cut away left border. Thanks for help. THIS IS THE WORST PLAYER EVER. I WANT TO PLAY 15 MP4 VIDEOS IN A ROW BUT IT WONT GODDAMNIT. HOW CAN I DO IT? I’m trying to watch videos using NEXBOX smart TV, via an app (Optus EPL) or online, and I can’t because I don’t have adobe flash player (or a suitable alternative). Do you have any suggestions I could download in order to get these videos working? Many thanks, Gary. I have a Nexbox A95. Had to unplug it and set it up again, now it’s stuck on the title screen. Remote won’t work, wireless keyboard won’t work. Tried unplugging and replugging a few times. Nothing… Stuck on the title screen. Your box needs the firmware flashed on it again. I have the latest android 6 with 2g/16g; I not able to get my weather set to Celsius ( in coding yes but in home I cannot get it set). Walked like what is in my opinion all settings in language / location no results. Bluetooth is working so far but my mouse/keyboard is disconnected after shutdown and need to re-associate. Wifi is excellent on this box. No lag at all in streaming any kind of content, browsing fine. Anyone managed to get temple run to work on this box? Games like Asphalt Airborne are quite stable when I set display to 720p. So if there is no configuration change to enable a navigation bar, and therefore no Menu button to list all running apps and kill them.. is there some app we can download to do the same function ? So i just bought the S905X CPU with 2GB ram and 8 GB rom, and figured out how to open the running programs. I have a nexbox a95x and so far, i have been happy with it. even got a new OTA firmware update released on the day I actually received it. So the software on the box is really stable. Everything works great other than the wifi performance, which is so so. My question is, is it at all possible to use a USB wifi dongle to somehow beef up the wifi reception. I have an extra one laying around from an old pc. I do not have the HD connection on my TV so I went a bought an adapter to connect the HD connection on the box to the HD mini connection on my TV. I set the source and it is not finding a signal. What am I missing. THe box works on another TV. Most functions work with the exception of Kodi. Any ideas how to reset Kodi without losing all the pre-installed add-ons? Many Thanks and Kindest Regards for any help offered. Is that a factory reset of the a95x box or Kodi itself? Also do you have a link to detail how to factory reset please? just got my box yesterday: A95x 2/16GB and have same problem with kodi. I have excellent wifi connection, able to use web browser but could not use/log in to google play store. message says something about network connection or server problem. when using kodi, all add-ons auto updates failed. tried that factory reset u mentoined about but did not fix the problem. any ideas? i also dont know how to flash it or where to get software link for latest firmware? Ref A95X box 6.1, i have just purchased from Amamzon UK. I do not live in UK but have the main UK TV addons, but Notfilmon,FilmonTv will not work. Through a VPN connection BBCIplayer and ITV player work but then drop out after say 5 minutes,the bog standard Filmon addon is ok. I previously have owned 2 MX TV boxes that were ok and the addons worked ok.
Hello can I download videos from nexbox to external hardrive or USB flash drive? I have telephone internet (Telus, in Canada). Is it as simple as: powering up the box, connecting my modem to the box (ethernet) and connecting the TV to the box (HDMI)? And how do I select programming from that point? Can I reconfigure somehow the on/off IR receiver of my A95X to respond to my minix neo A2 lite remote? Bought the nexbox because I have only tube TV, bought the Av connection but pictures all garbled. Any way to fix this? I have to select Yes and the message goes away and everything works fine. Is their a way to stop this message from occuring? Why cant i see what is on my external harddrive.. i plug it in and it shows up, but i cant access it.. i can eject, and format.. but not open the folders on it?? what do i do wrong? If that hard drive was formated on a MAC Computer, it wouldn’t work. Has to be a PC format. Did you install a file Explorer from the Google Play Store? Its not formated on a MAC.. only been used on PC before.. If i format it with the nexbox.. will i be able to use it on my pc then? Yes you will, but only if you format it as external storage.